Physical Characteristics – Perennial herb in which several stems grow from a branching base, giving each plant a clumped appearance. Arrowhead-shaped leaves are velvety and grow to 20 – 30 cm in length and 5 – 15 cm in width. 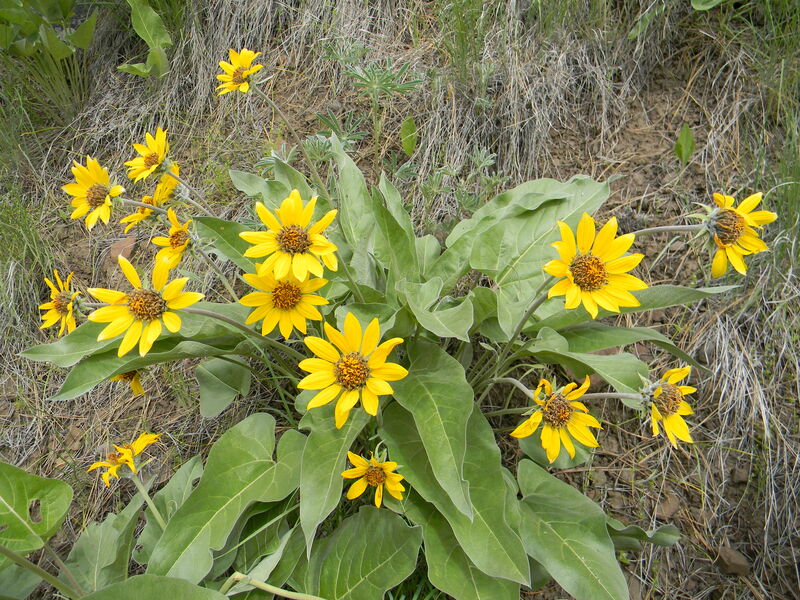 Flowers are bright yellow and resemble small sunflowers. Habitat – Found in dry, sometimes rocky or wooded sites on mountain slopes and foothills. Can be found in various parts of the Clearwater Basin. Range – British Columbia and Alberta south to Colorado. 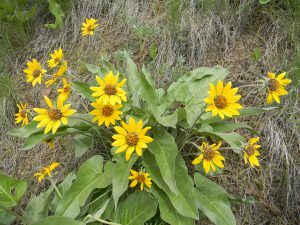 Reproduction – Blooms each year from April – July in its native range. Threats – Public lands grazing. Miscellaneous – Specimen was collected near Lewis and Clark Pass by Meriweather Lewis in 1806. Plant is edible; historically it was an important food source for many native americans. Has a bitter, pine-like taste and can be steamed, roasted, dried or eaten raw. Deer and elk eat the plant’s tender shoots.